On behalf of the San Francisco Track & Field Club, we would like to invite you and fellow athletes of your club to come participate and compete in our 10th Annual Pride Track & Field Meet on Saturday, June 17, 2017 at San Francisco State University’s Cox Stadium! 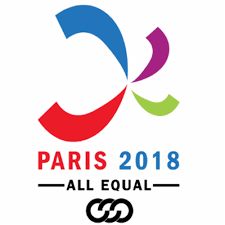 See our website (pridemeet.org) for more details – including mail-in and online registration procedures. Pre-registration for the meet will be a flat $55 (which includes an unlimited number of events). Day-of registration will go up to $65 so register early and save! If you have any questions about the Pride Meet please contact Andrew Bundy, Meet Director, at pridemeetinfo@gmail.com or by phone at 510-708-6582. 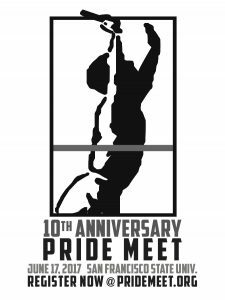 In the meantime, follow the Pride Meet on Facebook and Twitter to stay up to date on details, announcements, photos, etc. You can also RSVP for the meet on our official Facebook Event page so you can connect with other participants, share photos, etc. We’re looking forward to seeing you there! Thank you and happy training! Should you give all-comers meet a try?